Early next year, Tata Motors will launch a brand new SUV in the Indian market – the H5X. The SUV, which was shown at the Auto Expo 2018, will make its debut in early 2019 as Tata Motors’ Hyundai Creta and Jeep Compass rival. While a 2 litre turbocharged diesel engine is already confirmed for the H5X, new information suggests that the SUV will also get a petrol engine. What is going to dictate the powertrain strategy in the time to come is how we would like the consumer to perceive our car. The H5X, being an SUV, sporty, stylish kind of vehicle, we’re going to offer the performance, which matches or exceeds that of the vehicles in that class. If you look at the trends, the kind of reduction that is happening in the price between diesel and petrol, the natural tendency is to go towards petrol. Therefore, there is a play not just for diesel, but also for petrol engines. The selection of the technology would always depend on what you want to achieve. Definitely one has to meet the regulations. The first phase of CAFE was implemented in 2017 and the next one is going to be there in 2022. If it’s going to be mandatory for compliance to the CAFE, and if (hybrid) supports compliance to CAFE, why not? Our ability to deliver advanced technological options is very much there. I think we need to look at whether it makes sense and then at what point of time it would make sense. Clearly, a petrol engine is also in the works for the H5X considering the fact that the Indian car market is tilting towards petrol engines in many segments. While SUVs sold here continue to be mainly diesels, tightening emission norms and the lower gap in prices between petrol and diesel could make petrols more popular in future. 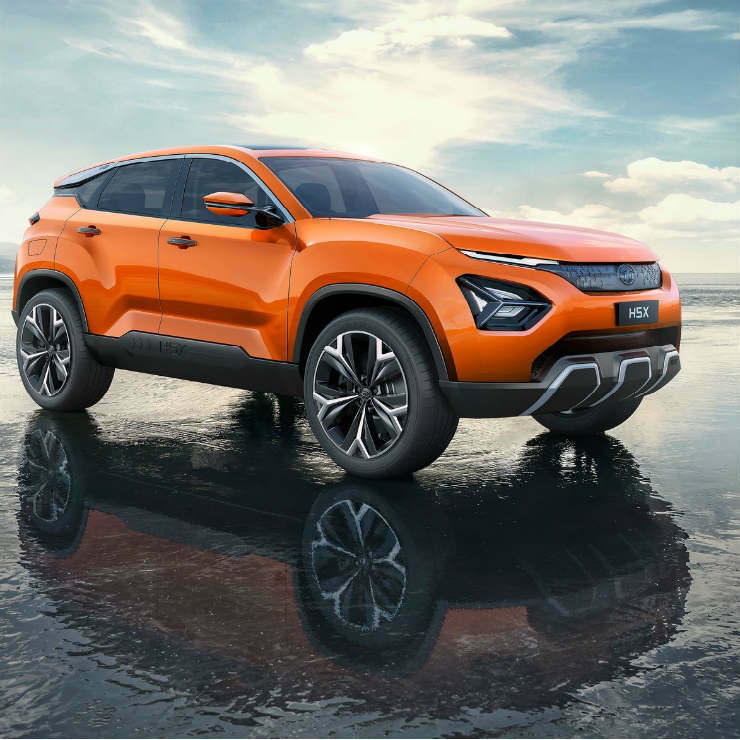 For now, we do know that the H5X will use the Jeep Compass’ 2 litre, Fiat Multijet turbocharged diesel engine, with the 140 Bhp-320 Nm state of tune. It remains to be seen if Tata Motors also borrows the 1.4 litre turbocharged petrol engine that’s offered in the Jeep Compass, in a 160 Bhp-250 Nm state of tune.